So, it’s New Year’s Eve! 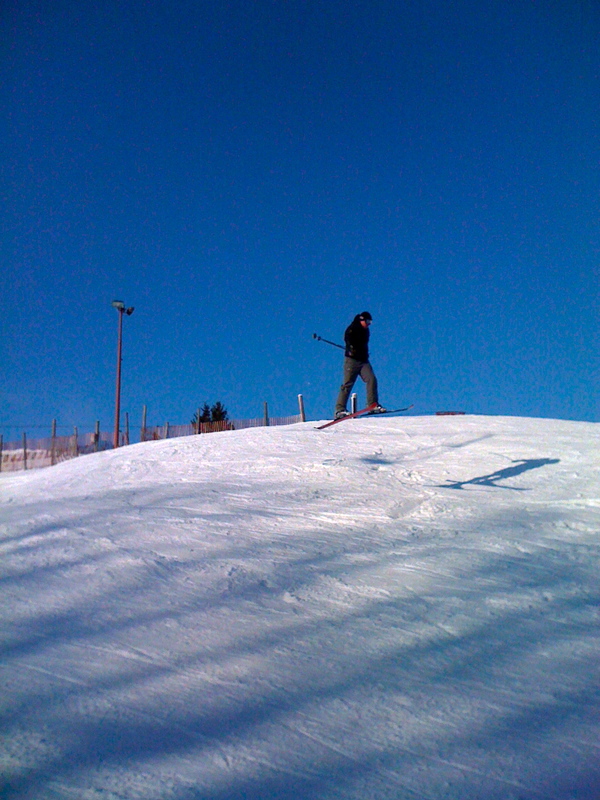 My how time “flies”…just like my cousin Bradd is catching some air on a pair of skis (pictured left). Today, he and I spent a couple hours out on the hill. 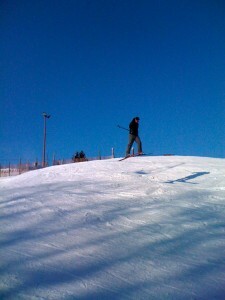 It was a beautiful day for any outdoor activity, but our choice is snow skiing. Many of us will be busy in the company of friends and family tonight, so it was nice Bradd & I were able to get in a few runs at the “Mot” before the hustle, bustle, and partying set in! Whatever you are doing today, enjoy the last of 2009 with a few deep breaths and look forward to 2010 (pronounced twenty ten!). Happy New Year! Next post: New Site is Up!